This tutorial will give an overview on how to remove you clutch. This becomes necessary when servicing, inspecting or replacing parts. 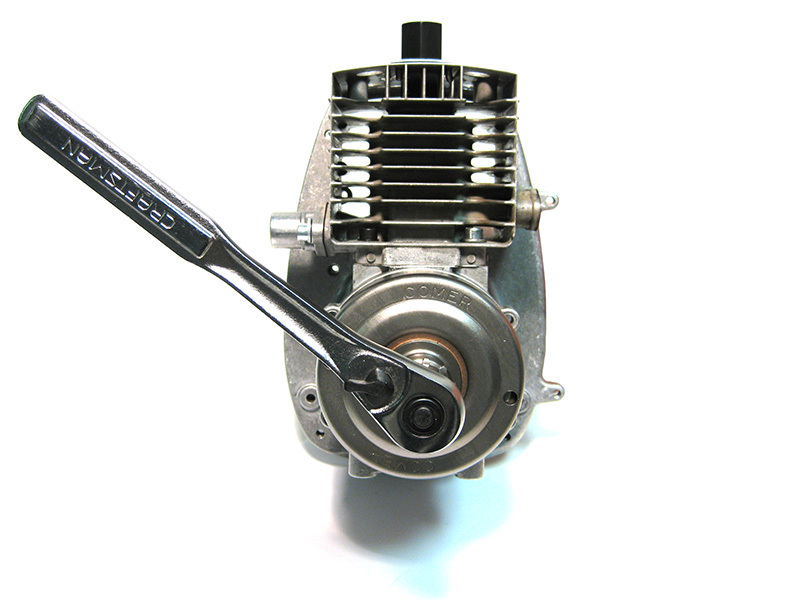 Generally the clutches have fairly good reliability and durability. Occaisionally the clutch springs will break and cause a lock up sensation when pulling the recoil. 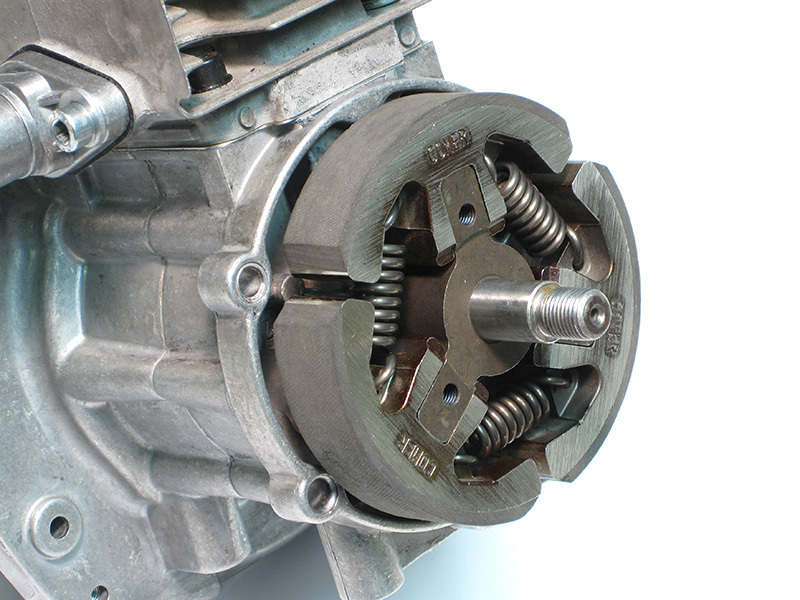 In this section, we will explain the proper way to remove the clutch. 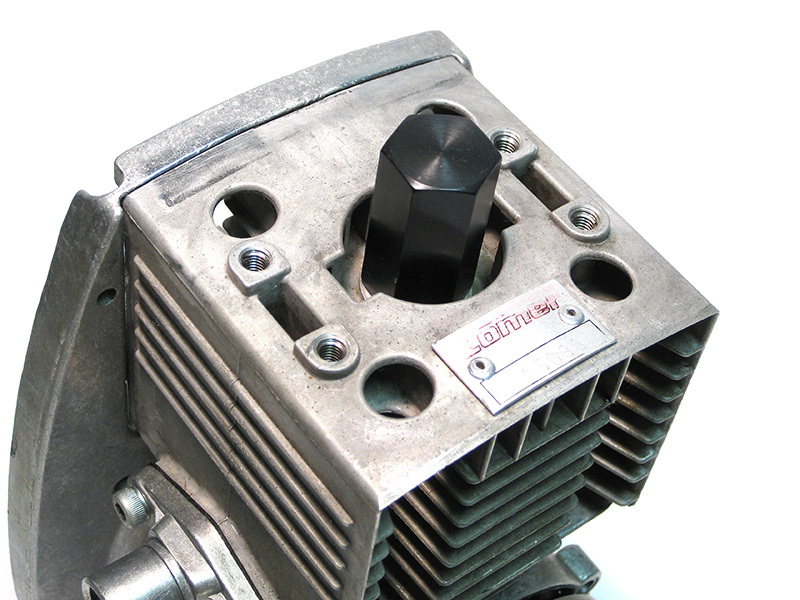 Using your 17mm socket, carefully and smoothly remove the nut on the crankshaft counter clockwise. Make sure you do not bang the piston against the piston stop. Break the nut loose and unscrew completely. Slide the drum off, remove the bearing and sleeve. 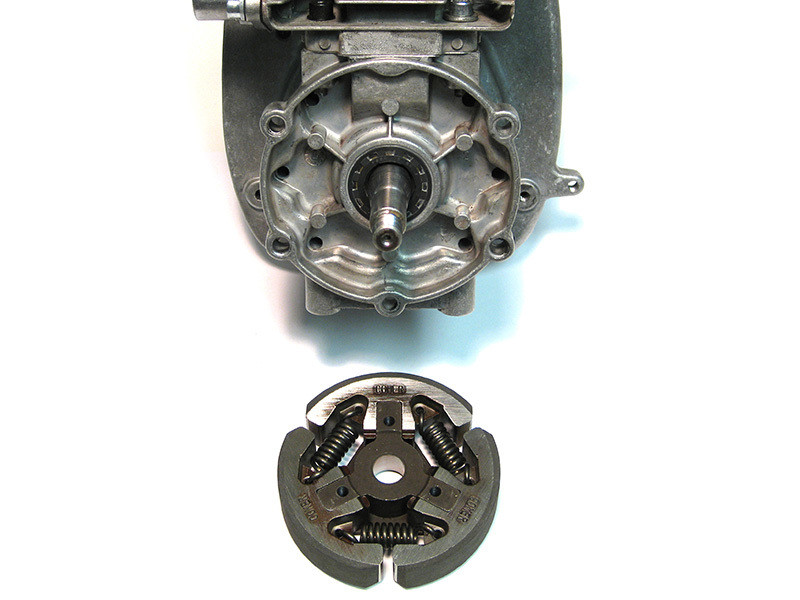 Once the nut is removed you will have 4 parts; the sleeve, the bearing, the clutch nut, and the clutch drum. 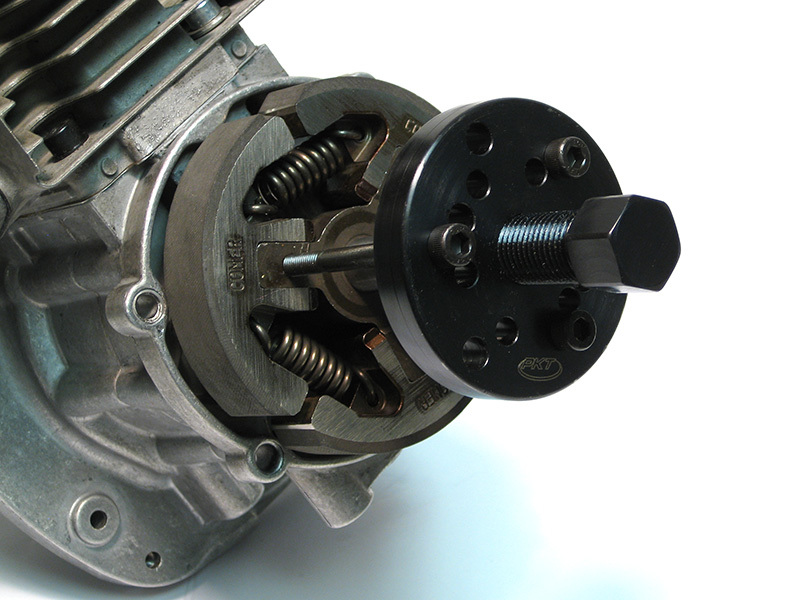 Install the PKT Universal Puller using the three 5mm bolts that line up with the three tapped holes in the clutch hub as shown. 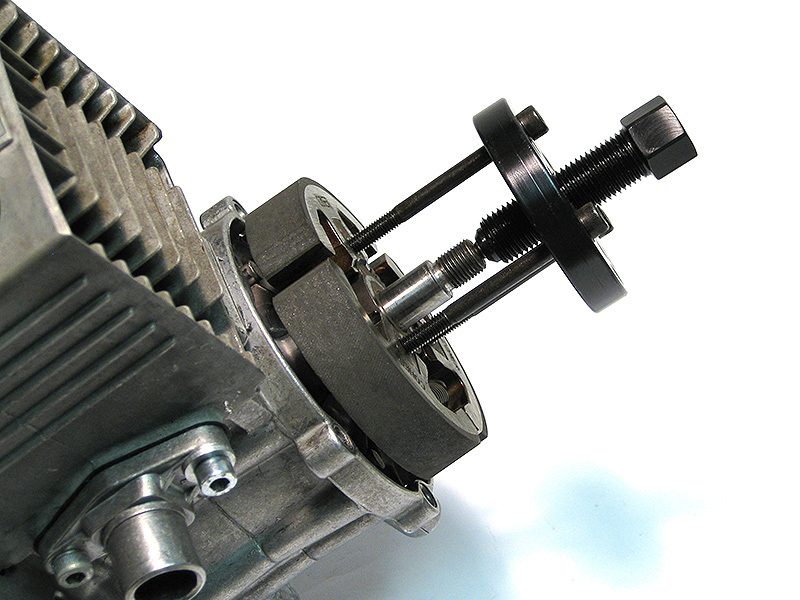 Make sure that the three bolts are screwed in equally so that the puller body is parrallel with the clutch face. Using the 17mm socket and ratchet, turn the center puller bolt clockwise until the clutch pops off its taper. Remove the clutch tool and wash the clutch.